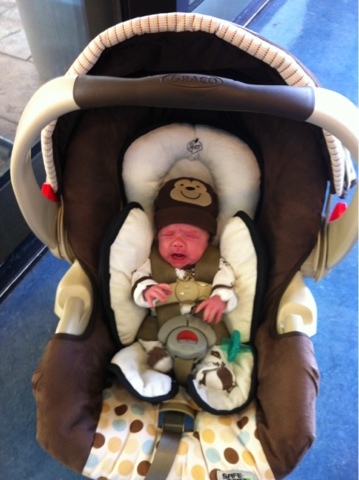 Today after 101 days in the NICU, Liam was discharged!!!! The day started off with uncertainty if he would be discharged or not. We were told if it wasn't today it would be tomorrow. We had to wait until the doctors and residents finished rounding to see what the decision was. While we waited the nurse went over the discharge paperwork with us. I kept on having to really ask myself...is this really happening? After we went through all of the discharge paper work the doctor came in and gave us the green light! We were good to go! 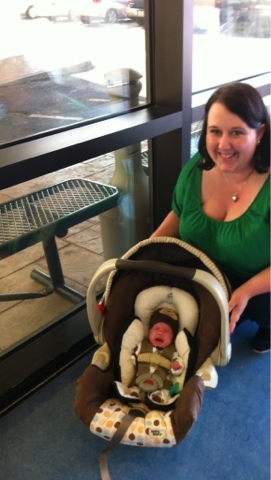 We were leaving the hospital! 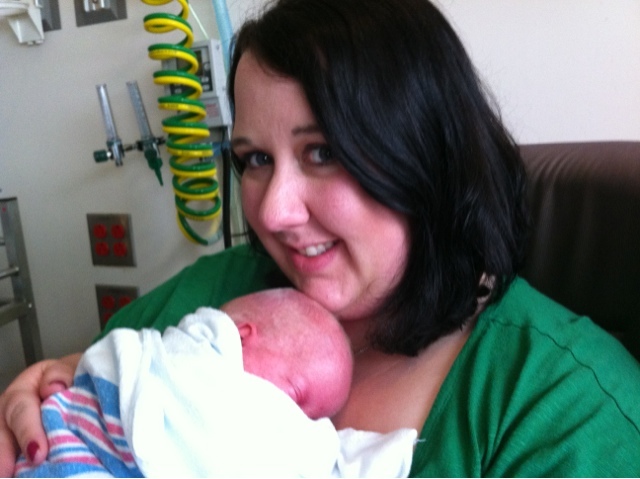 Here I am holding Liam for the first time with no wires. I can't begin to tell you how GREAT it felt. For the past 100 days I had to hold him being attached to a thousand wires. Every time I changed positions I kept on trying to catch the wires and alas, they weren't there. Awesome feeling! Liam and I waiting for Clint to come and pick us up. I know he doesn't look happy but believe me he was! 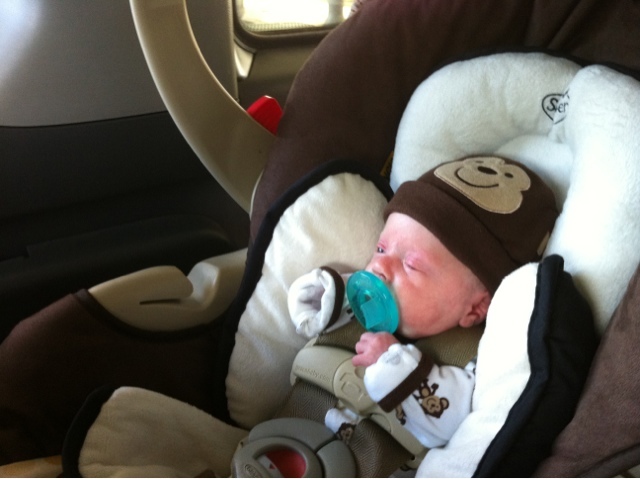 Liam in his car seat on the way home. I've never seen Clint drive more cautiously and obey all traffic lights! Side note, the roads around Childrens Hospital are terrible . Every time we hit a bump I tried to hold Liam's car seat as much as I could so he didn't have to feel any of the bumps! 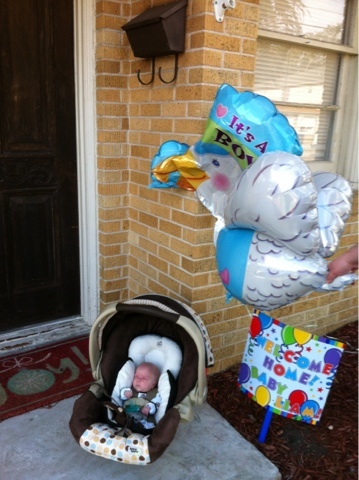 Welcome home Liam! We are finally home. It was such a great surprise to pull up and see this sign and a balloon. My mom and sister Monique planned this little surprise and it was so awesome to see! As soon as we pulled up my mom was there waiting with Noah in the car who was very anxious to meet his baby brother. We celebrated tonight with having a dinner with our family and cake and ice cream. I know Liam doesn't look too excited, he's just upset he can't have any cake yet! 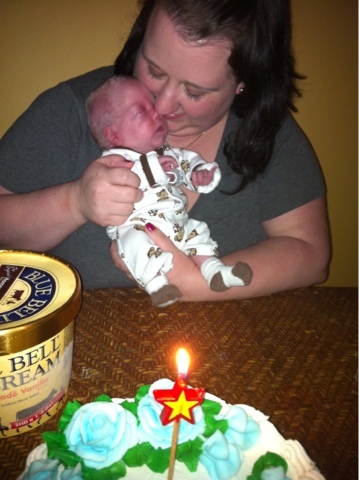 I'm so glad to close the NICU chapter of our lives and be home as our family of four. I've never been more excited about 2am feedings and dirty diapers, bring it on! Congratulations!! What a wonderful day! 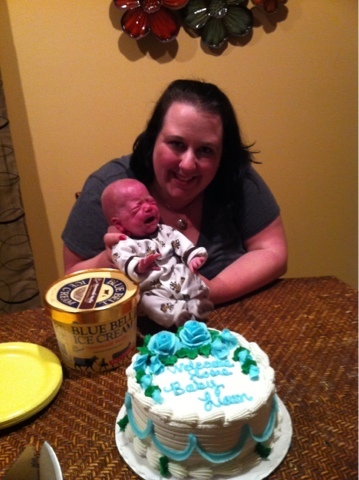 Our 24 weeker came home in August after 119 days in the NICU. I still think about it every day. All the best to you! big big congrats!!! hope you're all settling in well!